Rupert Murdoch is calling on European outposts to help in his pursuit of Time Warner. The media mogul’s Twenty-First Century Fox is poised to sell its Sky pay-TV arms in Italy and Germany to Fox’s UK affiliate British Sky Broadcasting. There’s strategic logic to the asset shuffle and the proceeds could help sweeten his $80 billion bid for the owner of CNN and Warner Bros. How Murdoch treats non-Murdoch owners is the linchpin. This elaborate subplot, with its jostling factions and family ties, is evocative of “Game of Thrones,” the violent fantasy drama broadcast by Time Warner’s own HBO. BSkyB could pay Fox 5.8 billion pounds, or $9.8 billion, for the two satellite companies, reckon Berenberg analysts. Given Time Warner’s resistance to Murdoch’s opening salvo last week, the extra cash should come in handy if he persists. Fox owns all of Sky Italia, 57 percent of Sky Deutschland, and 39 percent of BSkyB. 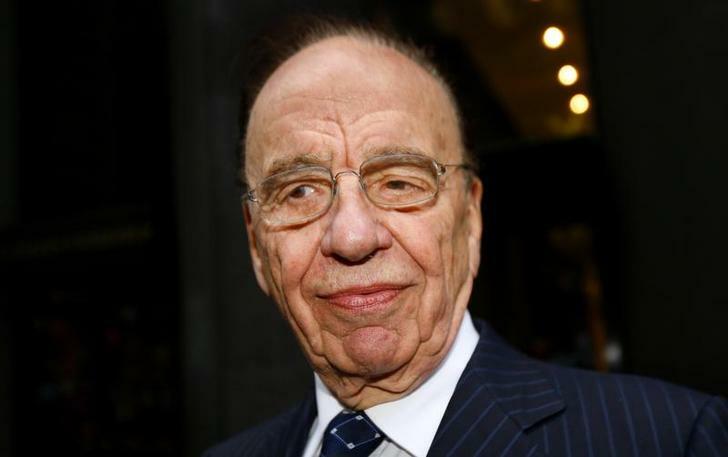 A full takeover of the UK business, where Murdoch’s son James was once the chairman, by Fox predecessor News Corp. was killed in 2011 by the phone-hacking scandal. That leaves Murdoch on both sides of the deal. It’ll take some finesse to make the deal fly. United, the Skys would gain negotiating power with programming providers and geographic diversity, but BSkyB shareholders won’t want to overpay simply to help Murdoch deploy capital elsewhere. Using shares would only invite fresh political trouble, as it would allow Fox to increase its stake. BSkyB at least has wisely given final say to independent directors only. The transaction also requires a shareholder vote, in which Fox cannot participate. In Germany, meanwhile, BSkyB will have to offer to buy all SkyD shares. It has insisted this will be at the legal minimum – the average share price over the last quarter – to minimize the number of sellers. Minority investors including hedge fund boss Crispin Odey, Rupert’s former son-in-law, want a premium paid for control. Time Warner has already criticized the second-rate, non-voting Fox shares on offer. If Murdoch can overcome these multiple structure and governance obstacles to land his quarry, he will have proven himself worthy of the throne. British Sky Broadcasting is poised to acquire sister companies Sky Italia and Sky Deutschland from Rupert Murdoch’s Twenty-First Century Fox, the Financial Times reported, citing two people familiar with the deal. The announcement is set to come alongside BSkyB’s full-year results on July 25, the FT said. Fox owns all of its Italian unit and 57 percent of the listed Sky Deutschland. It is also the biggest shareholder in BSkyB, with a 39 percent stake. BSkyB confirmed in May it was considering buying the businesses, after Bloomberg reported it was considering a two-part deal worth about 10 billion euros.